NISSAN warrants that for a designated period of time or specific mileage, as described in each caption and explained by your authorised NISSAN dealer, will repair or replace any part on the NISSAN vehicle which proves defective in materials or workmanship free of charge, except for those items listed under the caption titled "What is not covered". The warranty period begins on the date the NISSAN vehicle is delivered to the first retail buyer or put into use, whichever is earlier. New Vehicle Warranty covers all parts and components of each new NISSAN vehicle except for tyres and those items listed under the caption "What is not covered". As for battery, adjustment and air conditioner refrigerant recharge, the warranty period is different from that of New Vehicle Warranty. The coverage detail is described in the caption "Things you should know about New Vehicle Warranty". 1. Tyres are covered by a separate warranty. See the Warranty conditional items for details. 2. Any accessories or equipment installed by a person other than an authorised NISSAN dealer. 3. Any parts and labour costs incurred in connection with the required or recommended maintenance service as outlined in your OWNER'S MANUAL and the MAINTENANCE SECTION in this booklet. 4. Normal maintenance service such as engine tune-up, cleaning and polishing, wheel balancing and alignment, headlight aiming, replacement of filters, windshield wiper inserts, key fob batteries, light bulbs, spark plugs, distributor points, drive belts, lubricants and cooling, worn brake shoes, pads, drums and rotors and worn clutch discs. Misuse, accident, theft or fire (Proper use is outlined in your OWNER'S MANUAL). Use of improper or dirty fuel, fluids or lubricants. Lack of performance of proper maintenance service as outlined in your OWNER'S MANUAL and the MAINTENANCE SECTION in this booklet. Use of non-genuine NISSAN parts. Alteration, tampering or improper repair. Glass breakage, unless resulting from defects in material or workmanship. Normal wear or tear, including dings, dents, chips or scratches. Repairs not performed by an authorised NISSAN dealer. 6. Normal deterioration of trim, paint or other appearance items. 7. Any NISSAN vehicle on which the odometer reading has been changed so that the mileage cannot be readily determined. 8. 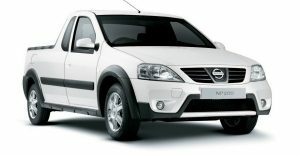 Incidental or consequential damages such as loss of use of the NISSAN vehicle, inconvenience or commercial loss. 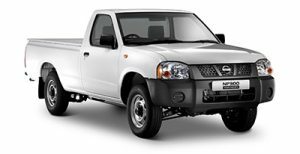 Vehicles exported to countries outside South Africa and the South African Customs Union by NISSAN South Africa, are warranted in accordance with the warranty conditions applicable to the specific country. 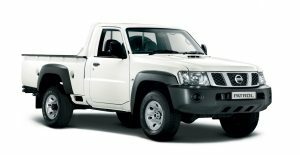 Vehicles sold in South Africa are sold subject to the warranty conditions applicable to South Africa. These warranty conditions are not transferable should such a vehicle be exported by anyone other than NISSAN South Africa. This warranty does not apply to the chassis and undercarriage and is subject to the requirements described in these conditions. 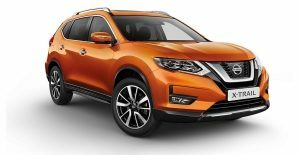 NISSAN warrants to the owner of a new NISSAN vehicle, the body against rust perforation from the date of sale of the vehicle to the original owner for the duration of the vehicle warranty. Until the end of the new vehicle warranty period when installed as a new vehicle warranty repair and without any customer contribution. 12 months / unlimited kilometres from the installation date for all other genuine parts and accessories installed at the customer's (partial or entire) expense. 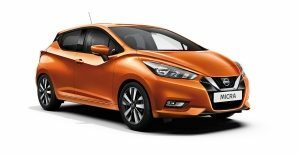 In terms of this warranty, NISSAN undertakes to provide free repair and/or replacement of defective materials or workmanship where the liability of NISSAN has been approved by an authorised NISSAN representative. 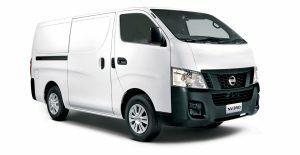 Any work done or material to be supplied by NISSAN in terms of these warranties will be provided at the discretion of NISSAN at premises appointed by NISSAN. It shall be at the discretion of NISSAN whether to repair or replace any defective components or materials. 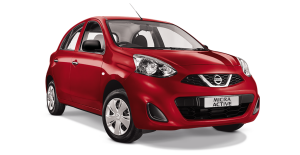 The NISSAN South Africa new vehicle limited warranty is transferable provided that the vehicle is maintained and serviced by an authorised NISSAN dealer. The warranty shall transfer to the second and all subsequent owners during the warranty period, provided that the vehicle has been serviced at the predetermined intervals by an authorised NISSAN dealership and that this information is readily available and updated at all times. 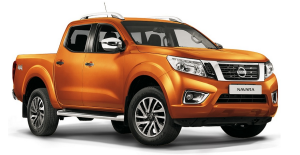 In cases of transfer of warranty, the authorised NISSAN dealer shall ensure that the transfer of ownership form as published in the relevant Warranty Information and Maintenance Booklet (WIMB) is fully completed and the tear-out section held on record. The transfer details will be recorded on the relevant vehicle records. NISSAN shall be excused from any liability under the terms of this warranty if the NISSAN vehicle to which the warranty relates has been subjected to misuse, collision or impact, alteration or modification or the failure to apply prudent operator standards including, but not limited to, standards recommended in the owner's manual. Repairs and services must only have been performed by authorised NISSAN service providers in accordance with the recommended service programme described in the owner's manual and further in this booklet. This warranty and any liability of NISSAN shall lapse if the vehicle has been subjected to any form of speed contest, motor racing or other competitive driving. NISSAN shall not be liable for costs of routine maintenance and service, replacement of consumable parts, glass, tyres or components subjected to normal wear and tear. This warranty and any liability of NISSAN does not extend to parts and accessories other than those parts and accessories approved and supplied by NISSAN. 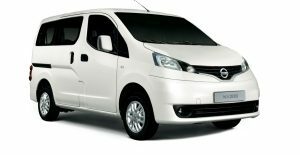 It is the responsibility of the owner to apply prudent operator standards in the maintenance of the NISSAN vehicle. Service protection and preventative maintenance of the vehicle must be done through an authorised NISSAN service provider. All components or accessories that are replaced at the discretion of NISSAN shall become the property of NISSAN, and may be disposed of at the discretion of NISSAN. 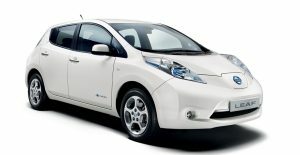 NISSAN does not warrant the vehicle to be fit for any particular application or purpose. The warranty and any liability of NISSAN in terms of this warranty excludes any liability for consequential loss, indirect damage, loss of production, standing time or loss of use of the vehicle as a result of or arising from any warranty. This warranty shall not apply to defects or failures caused by the use of incorrect fuel grades, fuel types and lubricants. 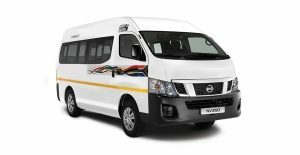 This warranty shall only be valid and applicable to NISSAN vehicles sold, registered and operated in South Africa, Namibia, Lesotho, Swaziland and Botswana. This warranty is expressly in lieu of any other warranty, expressed or implied or any obligation or liability of NISSAN and its authorised dealers. Electrical parts bought over the counter and not installed by an authorised NISSAN dealer. Claims from which it is not possible to validate the date and/or kilometre reading when the part or accessory was replaced or installed on the vehicle. Failure resulting from negligence, unauthorised alterations or accidents. Loss of time, inconvenience, loss of use of the vehicle, or any other consequential damage. The general principles and practices under new vehicle warranty conditions shall apply. This is the only expressed warranty applicable to the new NISSAN service replacement parts and accessories. 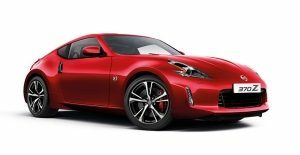 NISSAN neither assumes nor authorises anyone to assume on behalf of NISSAN, any other obligation or liability in connection with such parts and/or accessories. If the vehicle was subject to an accident or alteration irrespective of the magnitude of the incident. Neglect on the part of the owner in terms of proper and regular body maintenance. External influences of any kind to the bodywork such as chipped paint, scratches, industrial fallout or pollution. Failure to repair or have repaired external paint/body sealer damage promptly. Vehicle repairs or maintenance services carried out outside an authorised NISSAN dealer's business. The failure by the owner to have the maintenance services and body inspections done by an authorised NISSAN dealer at the stipulated time or distance interval. Failure on behalf of the owner to report any corrosion in the early stages. The warranty shall not apply in cases where extensive corrosion is evident yet not reported in its early stages. 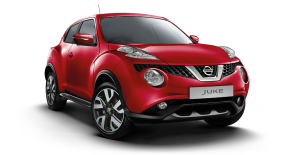 Accessories not originally fitted by NISSAN or damage caused by the fitting of such additional accessories. Corrosion to body as a result of bolt-on parts if the design of the attachment is not approved by NISSAN. Commercial vehicle chassis and load body interior areas. To ensure that you have a full and clear understanding of the terms of the warranty when you take delivery of your new NISSAN. The Sales Person will introduce you to the Service Manager, who will explain to you, fully, the services required to be performed on your vehicle as well as further terms of the warranty. To ensure that your new NISSAN is delivered in perfect condition. The dealer is responsible for giving each new NISSAN the finishing touches that are part of the world renowned reputation of customer satisfaction associated with NISSAN. The Dealer Service Department plays a vital role in the final phase of quality assurance and will adhere strictly to Nissan's policies and procedures as well as additional service bulletins to keep the promise of unequaled quality of service and workmanship at all times. To remain fully up-to-date by means of service bulletins received from NISSAN, to receive continuous guidance regarding the solution of problems and participate in technical training opportunities offered to ensure the highest levels of service and satisfaction for the NISSAN owner. To ensure that only Genuine NISSAN Parts are used in the servicing and repair of your NISSAN and that these operations are carried out only by competent technicians using special tools and equipment specific to your NISSAN. Please feel free to discuss any aspect of service, maintenance or repair to be done, or that has already been carried out, with your Dealer Service Manager. He will only be too happy to help you. We recommend that you use only Genuine NISSAN Parts, available at authorised NISSAN dealers. Only the highest quality materials are used in these parts, which are manufactured to stringent specifications. By using only Genuine NISSAN Parts, you will also ensure that your vehicle's resale value is not jeopardised and you will experience the full advantage of value for money motoring offered by a NISSAN. In the unfortunate event of an incident or Accident, where any part of the vehicle including the body and/or paint of the vehicle is damaged, the vehicle warranty becomes null and void unless the procedure as set out below is followed. 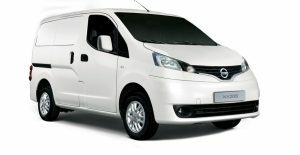 *Repair work to the vehicle must be undertaken by a Nissan approved Body and Paint Shop; and the vehicle, once repaired, must be taken to an authorised NISSAN Dealer for a safety and quality inspection (40 point check) of the repairs carried out by the Body and Paint shop. The cost of the 40 point check will be for the Owner's (Insurer) account. 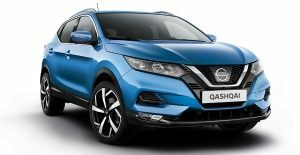 In the event that the authorised NISSAN Dealer is satisfied that the repair work complies with the Nissan quality repair standards the warranty will be reinstated. A copy of the Nissan quality repair standards can be obtained from the respective Body & Paint shop. The NISSAN Approved Body Repair Centre Network is the perfect answer for restoring your vehicle to its original standards, using only the same quality of parts and materials as those fitted by the manufacturer. Only NISSAN Genuine Parts are used on Nissan vehicles to maintain your 6 year anti-corrosion warranty. All repair work is carried out by trained specialists using modern and sophisticated equipment. All work is subject to precise quality control to ensure that your vehicle is returned to the factory perfect standard. Nissan conducts an independent 40-point check to ensure that all work meets NISSAN's precise quality standards. The vehicle warranty does not cover costs incurred as a result of normal wear and tear or inspections, neither does it cover any loss or deterioration, of whatever nature, as a result of the vehicle being stored for a lengthy period. Therefore costs related to the items listed below are the responsibility of the owner. LUBRICATION: Extremes of temperatures, adverse weather and severe road conditions will result in the need for more frequent servicing. During services, lubricant and fluid levels, doors, locks, rubber seals, throttle and parking brake linkages need to be checked. ENGINE OIL AND FILTERS: To prolong engine life and performance, engine oil and filters must be changed as recommended. ENGINE TUNING AND ELECTRICAL SYSTEMS: Must be checked and adjusted periodically for maximum economy, performance and driving safety. DRIVE BELT ADJUSTMENTS: Must be checked and adjusted to correct tension to ensure efficient functioning of driven components. BRAKE AND CLUTCH ADJUSTMENTS: Linings and pads are subject to wear and must be adjusted or replaced when necessary. TYRE ROTATION: Severe driving habits, such as heavy braking, harsh acceleration, high speed cornering, heavy loads and high speeds in general contribute toward a shorter vehicle tyre life. To achieve uniform tyre wear and longer life it is recommended that tyres be rotated periodically. WHEEL ALIGNMENT AND BALANCE: Adverse driving conditions and poor driving habits can cause wheels to go out of alignment and balance. Maintaining the correct wheel alignment and balance will provide better handling, improved ride comfort and longer tyre life. FUEL SYSTEM CLEANING/CORRECT FUEL AS SPECIFIED: Contaminants can sometimes enter the fuel system from external sources. Should this occur, the fuel system must be drained and filters replaced to restore proper engine performance. It is the owner's obligation, in every instance to take extra care to use fuel as specified. RATTLES AND SQUEAKS: Before delivery of a vehicle the authorised NISSAN dealer will, as a matter of course, ensure that the vehicle is free of any unusual noises. However, over time, poor road conditions may result in rattles or squeaks developing. It is therefore advisable that adjustments be checked regularly, and all bolts, nuts, screws and clamps should be checked periodically. SPARK PLUGS: These items are subject to wear and/or carbon build-up. For maximum performance and economy they should be checked periodically and replaced at specified times. FUEL AND AIR FILTERS: In order that these items can perform their important function of cleaning the fuel and air for the engine they should be properly maintained and replaced at the recommended intervals. In severe operating conditions replacement should be more frequent than recommended for normal operation. WIPER BLADES: The life of windscreen wiper blades is dependent on the amount of use and climatic conditions. For safety reasons these items should be replaced when wear impairs their function to clear the windscreen effectively. GLOBES AND FUSES: The replacement of electric light globes, fuses and lamp glasses on failure is not covered by a warranty. ENGINE COOLANT: Please consult your authorised NISSAN dealer for the specified coolant additives and concentrations. These must be maintained as recommended to prevent corrosion and erosion. VEHICLE BODY: Vehicles operating under abnormally severe conditions on beaches, dirt and loose gravel roads and in coastal environments with high humidity and salt mist laden air, require added protection. These circumstances are conducive to rapid paint and body deterioration. It is therefore the responsibility of the owner to take cognisance of the environment and conditions under which the vehicle may be expected to operate and to take suitable steps to prevent the deterioration of the paint and body work. Regular cleaning and vehicle attention must be given top priority in these conditions. Rust proofing as well as the physical application thereof may only be applied with the express approval of NISSAN. Under NO circumstances may the body be drilled or body surfaces/ panels disturbed to apply the rust proofing. Body inspections form an integral part of the preventative maintenance service schedules and must be done on either odometer readings or months, whichever occurs first. The owner must, upon detection of corrosion, report this to an authorised NISSAN dealer without delay. Such report must be made regardless of maintenance inspection periods indicated. Should body corrosion be evident at any inspection, the area must be repaired and treated within 14 working days after the inspection. The warranty will exclude any preventative treatment expense due to external paint/body and/or undersealer damage. We would like to point out that our warranty does not cover expenses incurred as a result of normal wear and tear or inspections. Neither does it cover any losses or expenses, of whatsoever nature, arising from breakdown of a NISSAN vehicle during the warranty period other than labour, repair or replacement of the warrantable part/s and/or components. The warranty period is not extended as a result of repairs during the warranty period. Properly use, maintain and care for your NISSAN vehicle as outlined in your Owner’s Manual and Maintenance Section in this booklet. Take the NISSAN vehicle to an authorised NISSAN dealer’s place of business during regular business hours at your expense in order to obtain warranty service. Check for trim, paint or other appearance defects at the time the new NISSAN vehicle is delivered and report the same to your selling authorised NISSAN dealer without delay. Keep maintenance service records in order to show the proper maintenance has been performed. Warranty repairs will be made at no charge for parts and/or labour (except for batteries, in which case you must pay certain charges as noted in the caption “Things you should know about New Vehicle Warranty”). Any required parts replacement will be rendered with new or authorised remanufactured parts by an authorised NISSAN dealer. A reasonable time to complete the repairs must be allowed after the NISSAN vehicle is delivered to the authorised NISSAN dealer. Adjustments not usually associated with the replacement of parts are covered under the warranty for the first 12 months regardless of mileage driven. It is recommended that scheduled maintenance and warranty services be performed by your selling authorised NISSAN dealer since that dealer has a direct interest in your continued satisfaction. To help you secure maximum satisfaction from your NISSAN new vehicle, it has been inspected and conditioned according to Nissan’s new car pre-delivery inspection procedure. 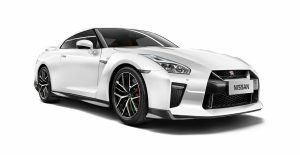 NISSAN has the right at any time to make changes to the design or specifications of any NISSAN vehicle without notice and without any obligation to make such changes on vehicles that have been sold in the past. This warranty applies to NISSAN vehicles registered and normally operated in the country where such NISSAN vehicle is originally sold. This warranty is provided to the original and subsequent owners of the NISSAN vehicle during the warranty period. Proper maintenance and care of the NISSAN vehicle is indispensable for safe driving and lower overall running costs. The scheduled maintenance services are minimum requirements that should be performed at your initiative. Additional maintenance service may be required since weather and atmospheric conditions, varying roads, vehicle usage and individual driving habits greatly contribute to the need for such service. Any damage or failures resulting from lack of required maintenance or improper maintenance are not covered by warranty. Air-conditioner installed in your NISSAN vehicle as original equipment is covered during the New Vehicle Warranty, 72 months or 150 000 km. However, refrigerant recharge not associated with the repair or replacement of a warranted part is not covered after the first 12 months, regardless of the mileage. If you are touring in another country and a problem occurs with your NISSAN vehicle, please contact an authorised NISSAN dealer in that country. Warranty service is provided under the provisions stipulated in this booklet. Please note, however, that any problems relating to lack of compliance with local regulations and/or the environmental requirements of the country in which you are touring are not covered by the warranty. 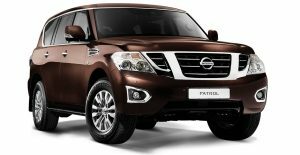 Your NISSAN vehicle is manufactured to meet the regulations and environmental requirements of the country where such NISSAN vehicle is originally sold. In case you relocate it to other country, your NISSAN vehicle may not comply with the regulations and environmental requirements of that country. It may be very difficult to make modifications to comply with the regulations and environmental requirements of the country. 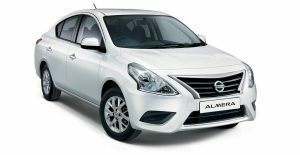 In addition, even if you take your NISSAN vehicle to an authorised NISSAN dealer in another country for repair, the spare parts necessary for repairing the NISSAN vehicle may not be available at that authorised NISSAN dealer because such authorised NISSAN dealer may have different models and specifications. Then, it may be difficult to perform repair service in that country. Please note that a NISSAN vehicle relocated to another country is not covered by the warranty. Discuss the problem with your authorised NISSAN Dealer Management and Dealer Principal first.